The Kakrapar Unit-I nuclear reactor in Gujarat is undergoing a moderately large leakage of heavy water from its Primary Heat Transport (PHT) system since 9.00 AM on March 11,2016. From the very limited information released by the Nuclear Power Corporation of India Limited (NPCIL) and the Atomic Energy Regulatory Board (AERB) of the government , as well as from the conversations I had with press people who have been in touch with nuclear officials, few inferences can be drawn. Till 7.00 PM on March 12,2016 , the DAE officials have no clue as to where exactly the PHT leak is located and how big is the rate of irradiated heavy water that is leaking into the reactor containment . However, some reports indicate that the containment has been vented to the atmosphere at least once , if not more times , which I suspect indicates a tendency for pressure build up in that closed space due to release of hot heavy water and steam into the containment housing . If this is true, the leak is not small , but moderately large , and still continuing. No one confirms that any one has entered the containment (in protective clothing) for a quick physical assessment of the situation , perhaps it is not safe to do so because of the high radiationfields inside . When NPCIL officials state that the reactor cooling is maintained , I believe what they may be doing is to allow the heavy water or light water stored in the emergency cooling tanks to run once-through the system and continue to pour through the leak into the containment floor through the break . All this points to the likelihood that what Kakrapar Unit-1 is undergoing is a small Loss-of-Coolant Accident (LOCA) in progress. It is most likely that one or more pressure tubes (PT) in the reactor (which contain the fuel bundles) have cracked open , leaking hot primary system heavy-water coolant into the containment housing . The reactor cooling is said to be maintained which , in view of the PT breach , can only be by supply of heavy water or light water from the storage tanks of the emergency cooling systems . While it may perhaps ensure bulk coolant temperatures in the PHT system to be well under control , it could still mean fuel centreline temperatures in the channel which may have a breach could be quite high . The seriousness of the accident and the potential high risks to the plant and personnel in the near vicinity are yet to be assessed , because NPCIL and AERB do not yet know where the location of the leak is or how to initiate actions to stop it. They were waiting for a team of AERB Specialists to reach Kakrapar in the afternoon of March 12 th. (today) to jointly decide between AERB & NPCIL how to proceed from here on. This is therefore a potentially serious accident in progress , and the DAE, NPCIL and AERB appear to be clearly saying at the moment that they know very little of what is happening. I was just told that a senior team from AERB has reached Kakrapar this evening and now the serious accident investigations will hopefully begin and decisions initiated . In August 1983 , the Pickering Heavy Water Reactor in Canada had a serious Small LOCA , due to a sudden two-meter long rupture of a pressure tube (PT). Upon later analysis , the cause was found to be the mislocation of annulus gas spacer springs which allowed the pressure tube to sag and contact the calandria tube , leading to hydrogen enrichment of the cooler areas of the PT. This made the tube more brittle in such cooler locations and it ruptured due to the internal fluid pressure. In 1983 , when this accident in Canada occurred , India was under international nuclear sanctions following the Pokhran-1 test and it took some time before root causes of this accident were understood by our Department of Atomic Energy (DAE) institutions. But , the Bhabha Atomic Research Centre (BARC) did commendable work immediately in analysing the phenomenon of hydriding of PTs in a PHWR , and carried out experiments, developed computer programs and the appropriate PT Integrity Inspection Equipment within the next decade. Based on all this work , a Pressure Tube Aging & Integrity Management Program was develop jointly by BARC & NPCIL , for strict adherence to and use by NPCIL in all their PHWRs. Besides , it was found essential that the PT material has to be changed to Niobium-stabilized Zircalloy , and accordingly all previous Indian PHWRs including Kakrapar Unit-1 were re-tubed with the new alloy tubes in subsequent years . But , this re-tubing did not preclude the need for strictly following of the PT Aging Management Program and the periodic checking of the garter spring position between the PT and the Calandria tube to minimize the PT sagging within the calandria tube. It may be possible that , having built more than 20 PHWRs , NPCIL and AERB in recent years have become overconfident and relaxed their strict adherence to this Aging Management Program , which might have been the reason for the current accident. Let me caution the reader that the above conjecture is based on bits and pieces of reliable and not so reliable information gathered from different people close to the accident details and in positions of authority. Future detailed evaluation may or may not prove my entire set of conclusions or part of them to be not well-founded. 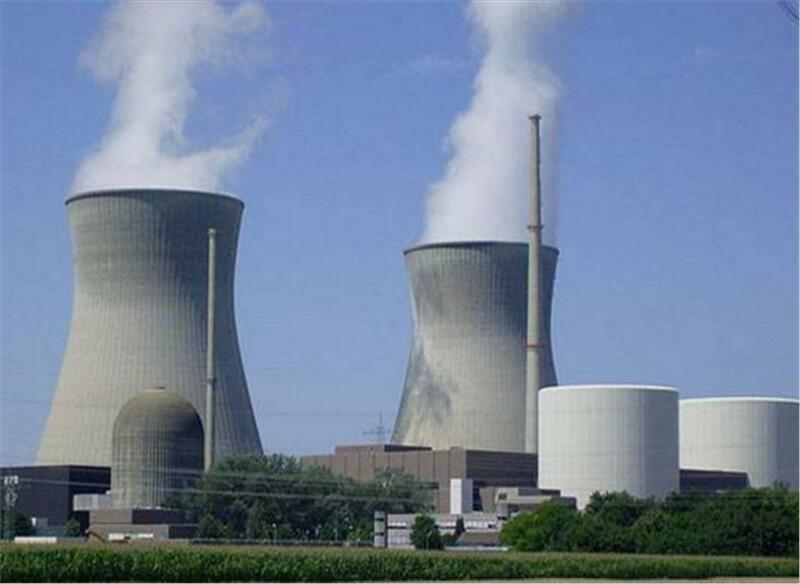 But , technical experts are compelled to put out such conjectures because of the total lack of transparency of the Indian cilvilian nuclear power sector and the atomic energy commission (AEC) , the Dept. of Atomic Energy (DAE) , the NPCIL and the AERB . Public have a need to know and , therefore , the AEC and its sub-ordinate organizations need to promptly release status reports on the progressing safety incident which could affect their lives , to alleviate their concerns and anxieties . It is a series of such lapses in communication over the years which has built up the ever-increasing trust deficit in the DAE system among the general public. All future plans for expanding the civilian nuclear power sector should be put on hold until a truly independent nuclear safety regulator is put in place , who is not controlled by the AEC or the Prime Minister’s Office (PMO) , who will then be answerable to openly communicating with the public on all civilian nuclear power matters. (Dr. Gopalakrishnan is a Former Chairman of the Atomic Energy Regulatory Board , Government of India. He can be reached at agk37@hotmail.com ) This article was originally published on the Dianuke website.